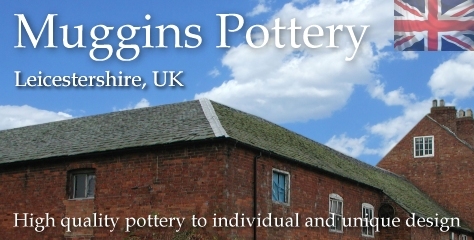 Teapots | hand-made pottery from Muggins Pottery in Leicestershire - wedding gifts, birthday presents, christening presents and anniversary gifts. Classic Muggins teapot. Excellent pourer. Includes lid with small vent hole. Height measurement includes the lid. Capacity is approximately 3.5 UK pints. Hello, Just picked up the order from the post office and they are both absolutely fantastic. Thank you for a brilliant service, they will make wonderful Christmas presents.